We offer 'Office Conference Table' Model : CT-3 from Inspace India. We are successfully meeting the varied needs of our clients by offering a wide gamut of Meeting Table as per their precise needs. Manufactured using the finest raw materials and modern machines, the offered Office Conference Tables is known to be one of the finest that is available in the market. The offered product has a smooth finish, commendable durability and sturdy construction. Further, its highly elegant design, makes the product highly asked for in the market. We also provide a comprehensive range of school furniture, which is acknowledged for its quality and reliability. These are available in a variety of polish, sizes and designs, which can be customized in accordance with client's requirement. We also provide our range in contrasting colors and designs at most competitive prices. We are looking for Delhi/NCR query's. Backed with the support of an adroit and nimble staff of professionals at our premises, we have been capable in offering with Round Meeting Table. 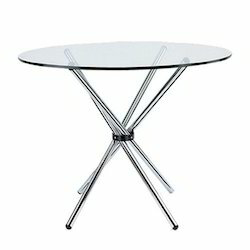 We are the manufacturer of Meeting Tables.